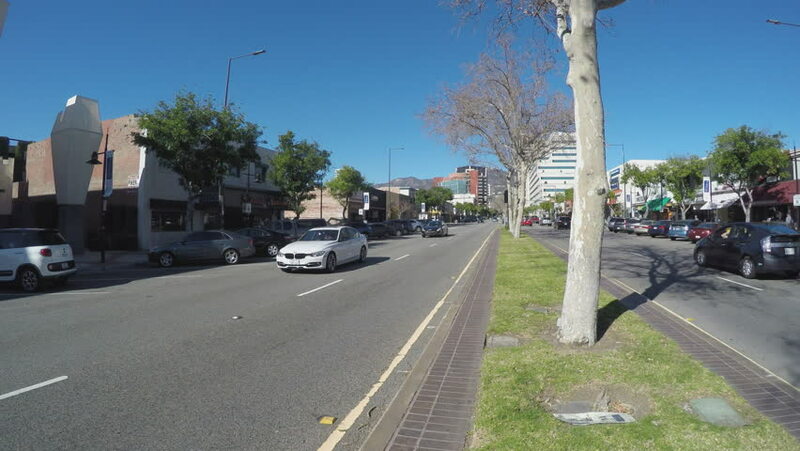 GLENDALE, CA/USA: February 21, 2016- A wide angle view from the center median of Brand Boulevard. Street scene reveals shops, restaurants and businesses in this entertainment district. hd00:31SUKHOTHAI, THAILAND – NOVEMBER 17, 2013: Cars pass by the street in Sukhothai, Thailand.